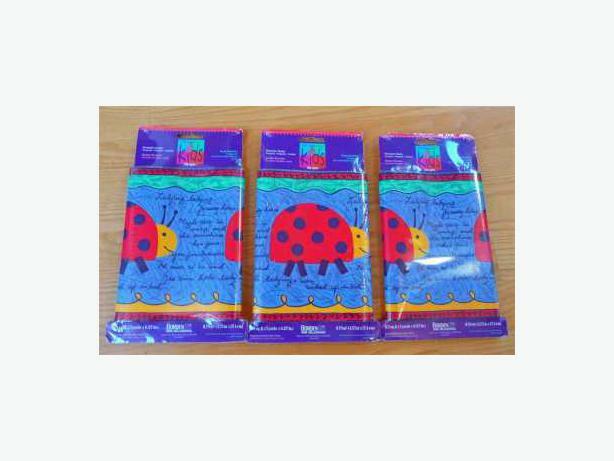 Di Lewis for Kids collection decorative wallpaper border. Made by Borden Home Wallcoverings USA. Three unopened 15 foot (by 7" wide) packages (45 feet total length). 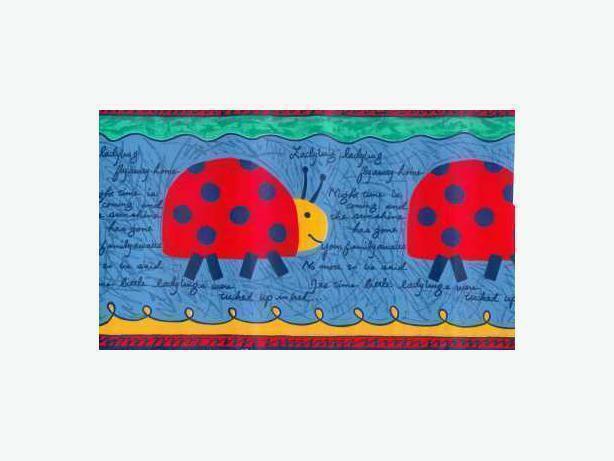 Each border comes with colourful stylized ladybirds and a poem that reads: "Ladybug lady bug fly away home - night time is coming and the sunshine has gone - your family awaits - no more to be said - it's time little ladybugs were tucked up in bed..."
Each border is pre-pasted, washable & strippable.